Home / India / Govt Documents / Aadhaar Card / How to open Aadhaar Card PDF File ? Aadhaar is a 12-digit unique identification number which is issued by the government of India to every individual of India. 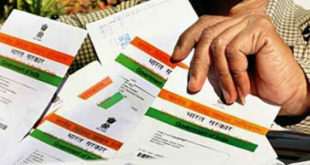 The Unique Identification Authority of India (UIDAI), which functions under the Planning Commission of India, is the organization which is responsible for managing Aadhaar numbers and Aadhaar Cards. In our previous articles we have already told you how to download e-aadhaar card with your Enrollment Number or how to download e-aadhaar card with your Aadhaar Number. If you have already downloaded your e-aadhaar from the Official Website of UIDAI, you must be looking to open Aadhaar Card PDF File now. Don’t worry, we will tell you the password to open Aadhaar Card PDF file. 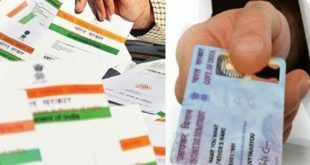 How to Open e-Aadhaar Card PDF File after Downloading ? 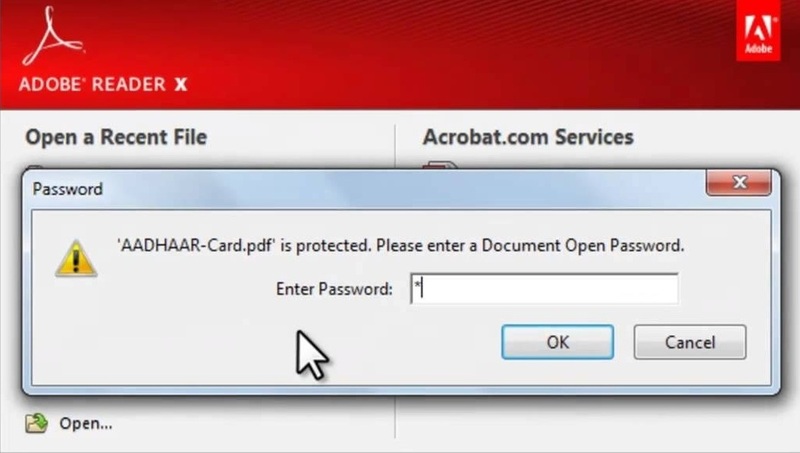 When you download your e-Aadhaar and you try to open the PDF file, it would be looking something like the picture given below. So, we need to understand that the e-aadhaar is a password protected document. This is done so that there is no possible misuse of your Aadhaar Card. 1) Type your area PIN Code as the password to open your Aadhar card. It is the PIN Code of your Area where you live. This area pin code is the same as was mentioned in your Aadhaar Card application. 2) Just in case, PIN Code does not work for you, type the initial 4 letters of your First name and your Year of Birth in the format : NAMEYYYY. Example : If your Name is RAJAN and your Date of Birth is 22/11/1983, please type RAJA1983 as the Password to open your Aadhaar Card. One of the above 2 password options will definitely help you to open your e-Aadhaar Card. Hope this helps! How to Apply for Aadhaar Card Online ? How to Change Aadhaar Card Name & Address Online ? How to Change Aadhaar Card Mobile Number & DOB Online ?